Maa Bhadrakali Temple is the famous temple of Goddess Bhadrakali, located in the outskirts of the revenue village Aharapada which is at a distance of 8 kms away from Bhadrak town in the south- west direction. One has to go via Santhia and Utarabahini in the south-west direction of Kacheri Chhaka of Bhadrak town to reach the shrine. The popular belief is that the name of the Town has been derived from the name of the deity. The last Independent King of Odisha Gajapati Mukunda Dev established the statu of Lorg Jagannath, Lord Balabhadra and Devi Subhadra at Bhadrakali pitha. There are a number of folktales and historical opinions regarding the goddess, “Maa Bhadrakali” and the “Pitha”. Despite the same the Pitha has been a place which has always attracted devotees from all over the state and the country be it for worship by the commoners or by the Tantra Sadhakas (Tantriks). The statue of Goddess is of black granite and is seated in lotus posture on a lion. The temple remains open for visitors and devotees everyday from 6.30 am to 1pm and again from 3pm to 9.30 pm. 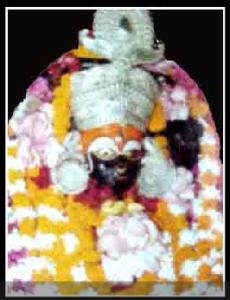 As per the nomenclature of the goddess one tends to believe that it is the goddess Kali who is being worshiped in this Bhadrakali Pitha. However, since the deity is seated on a lion, one school of thought has opined that the goddess can be no other than the goddess Durga. I am not visited this temple but i want came there and i will visit of Bhadra – Kali MAA. Give Responses for "Maa Bhadrakali Temple of Bhadrak"